About the Book: Nimira is a girl from a distant world trying to make her way in a music troupe. When a wealthy gentleman, Hollin Parry, offers her an opportunity to sing with a life size automaton he has acquired, Nimira takes the chance and hopes it will be the start of something better. Mr. Parry's world is very different than the one she has known and soon Nimira is surrounded by magic, rumors of ghosts, and sorcerers-good and bad. Nimira discovers a fairy is trapped inside the automaton. As their relationship grows, she determines to break the curse-at all costs. 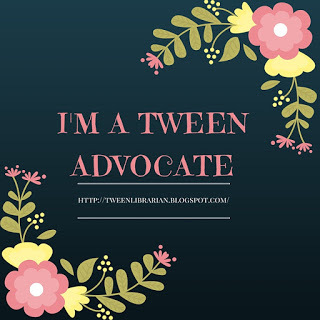 GreenBeanTeenQueen Says: This is such a fun read! The storyline is very creative and addicting and it has a refreshing romance. It reminded me in some ways of Beauty and the Beast (forbidden parts of the castle, a huge library, and a girl exploring a way to break a curse) mixed with a classic Victorian tale. It's a short quick read and I would have read it in one sitting if I had carved out enough time to read. I liked the characters and the way magic was accepted in Hollin Parry's world. It came as no shock that there was a league of sorcerers and fairies-that's just how the world was. I liked that the fantasy elements felt like a natural part of the world. I would have liked more with the romance part of the storyline, although I did like what was there. I would have liked to see it develop just a bit more. This was a pretty short book and the ending felt a little rushed and I want more. I don't wish for many books to be longer, but this one I would have gladly read another 100 pages! I'm hoping there will be a sequel (even though I generally get annoyed with sequels) because I'm interested to see where the characters go from here. 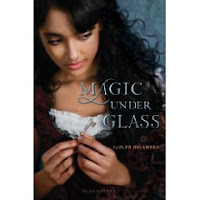 Overall, Magic Under Glass is an enchanting debut that I would eagerly pick up again and re-read. I already have a long hold list for this one at my library and I think my teens will be clamoring for more. I know I'm looking forward to reading more from Ms. Dolamore-she's an author you'll want on your radar. I'm so glad you enjoyed it, I felt the same way as you! Ooh, I can't wait to read that one! I've been ogling it on Amazon for a while now. I really enjoyed this book too! I loved the world that was created and the characters were really enjoyable. I didn't once feel like the romance between Namira and the automaton was odd. I found the whole thing to be quite endearing and fun.